Content of PDF files. You can recover text, graphics, hyperlink and object forms used in the document. Fonts and other meta data. This program is capable for restoring fonts and other meta data that is usually integrated into PDF documents for their correct rendering. Structure of PDF files. PDF documents contain tables of internal cross-links forming the document structure. If these tables are damaged, the document may end up being unreadable. The software is capable of restoring these data and links. Our PDF Repair tool gives you Free Demo version. 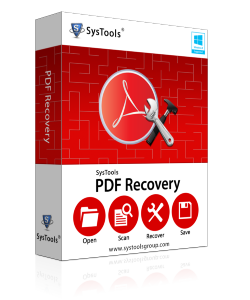 You can download the Demo version of PDF Recovery Software and you can see PDF Recovery process.